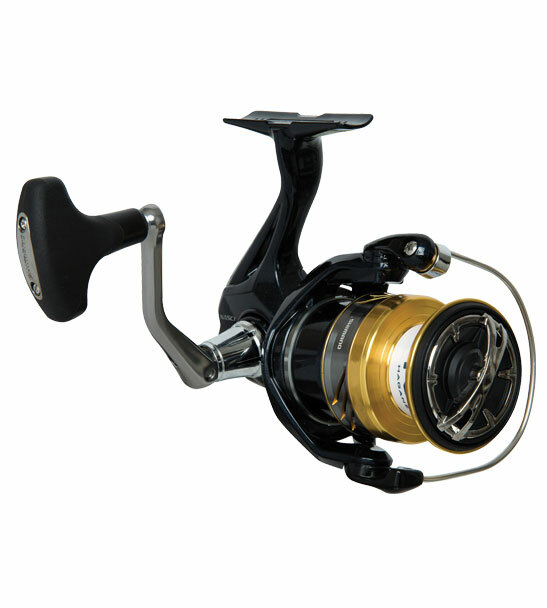 The Shimano Nasci family is an exciting, powerful spinning reel with unparalleled gear durability at its price point. It features Shimano's X-Ship technology, which not only makes the fishing experience much more enjoyable with ultra-smooth retrieves, but also gives you more grunt when cranking in those larger saltwater species. Plus, the presence of Coreprotect on the roller clutch, the drag, the body and the line roller, indicate that this reel is going to be perfectly at home in the world's harshest environment — saltwater. Whether it's Trout and Salmon in the fresh or softbaiting and inshore jigging for Snapper and kingfish -the Shimano Nasci range has it beaten!